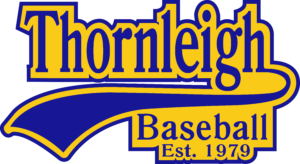 Thornleigh Baseball Club has a number of Senior teams from our A grade to F grade. These teams cater for all different ages and abilities. We were proud to see a number of these teams make the finals in the 2017/18 season. Playing baseball is a great way to stay active and have fun. So whether you have never played or you use to play and you want to get back into the game – we have a team for you! We also welcome female members to join our teams. The Senior teams play in the Pacific Coast Baseball League and games are both on Saturday and Sunday.